TC Encore 12 Ga Turkey Barrel Camo 24"
Thompson Center Encore 12 ga. turkey hunting barrel barrel fits Thompson Center Arms Encore, Pro Hunter and Endeavor frames. 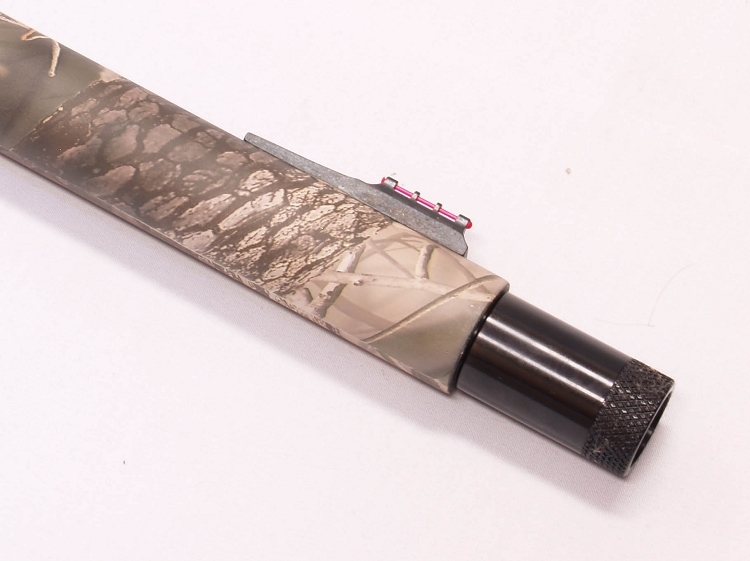 24" camo 12 ga. barrel with 3" chamber and screw-in removable turkey choke tube. Drilled and tapped for scope base (must use special 12ga scope base Part # 207-9949). Comes with fiber optic adjustable sights. Uses Encore or Pro Hunter 12 ga. shotgun forend. See All of our TC Accessories at Thompson Center Home!